All the legendary writers had one thing in common - they relied on Writing Systems. They had a writing system, methodology or process for creating good fiction quickly. Just to clarify. I'm not talking about writers who wrote one or two books which years after they died someone decided were "classics". I'm talking about writers who made very good money (while they were alive to enjoy it) by writing lots and lots of novels, and short stories. The numbers for some of these fellows is just staggering. Writing fast meant more published stories, which meant more income and notoriety, which ultimately brought more notoriety and even more income. There is a snowball effect to writing fast - you become well known and well paid. And there is a mudball effect to writing slow and re-re-re-writing - you die broke and unknown. To write well and to write fast (like most of the great writers did) you must know what they knew... so you can write like they did... FAST! Click here to watch this free video series to see what they knew that perhaps you don't. Writing effective fiction that sells is neither rocket science nor voodoo. Nor does it rely on inspiration or luck. Rather it depends on simply having the correct technology of effective storytelling and using it correctly. Click here to watch Video # 1 - "Write a 'Killer' Novel Fast..."Now! Discover how fast you could be knocking out that next novel and what might be standing in your way. Video # 2 - "The Story of Story"
Reveals the single most important thing you need to know about writing fiction - That no one ever told you. Click Here for "The Story of Story"
Video # 3 - "The Jedi Mind-Trick"
Reveals the single biggest secret to writing effective fiction that sells - But no one ever talks about it. Click Here for "Jedi Mind-Trick"
Video # 4 - "Story Technology"
Reveals what one of the most prolific fiction writers of all time called his "Manuscript Factory" and Edger Alan Poe tried to explain... But no one believed him. Click Here for "Story Tech"
These free videos lay it all out for you. You can write better, faster and easier - novels that sell - than you ever thought possible. 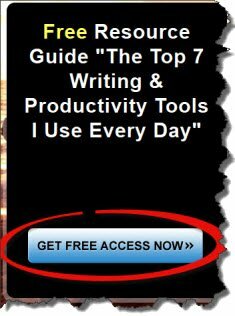 Click here to watch Video # 1 - "Write a 'Killer' Novel Fast..."Now; While they are still available for free! Very shortly these groundbreaking presentations will only be available for paying students. Copyright 2009-2012 - Richard A McCullough is the creator & editor of http://www.write-better-fiction.com the Fiction Writers source for Writing Better Fiction Faster and Selling More of What You Write.